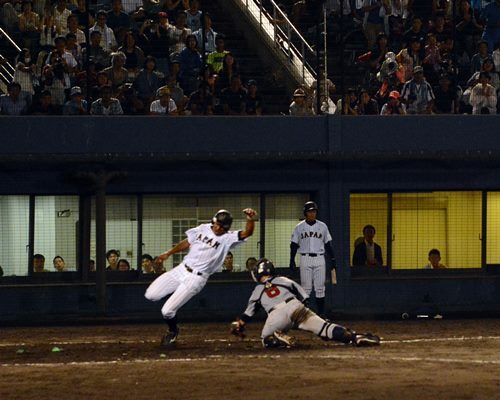 OSAKA, Japan – The gateway to the Super Round of the XXVII WBSC Baseball World Cup 2015 is still open for half of the twelve nations in Osaka, with Japan and South Korea having already taken the top spots in the next round of battle that starts Thursday. United States need a win to secure their place in the Super Round. They will also qualify with a defeat if Australia fail to beat Czech Republic. Brazil will progress with a win AND Australia lose against Czech Republic. In case of the scenario with Australia, Brazil and United States all ending on three wins, the two teams with the best TQB will advance to the Super Round. This is the first meeting in recent years between these nations in this competition. United States have won their last five games against South American teams, including 15-5 against Venezuela in the Final Round in 2013, when Scott Hurst was 4 for 5 with two runs scored. Australia will progress with a win AND Brazil lose against United States. They will also qualify with a defeat if Brazil fail to beat United States. Czech Republic are already eliminated for the Super Round after losing their opening four matches. This is the first meeting in recent years between these nations in the competition. Australia have lost their last game against European opponents after winning eight in a row. That defeat was against Italy in 2013 (7-4). Australia had more hits that game (11-8), but had six field errors. Aussie Zachary Shepherd was 4 for 4 and had a stolen base in that game. Japan have already secured the top place in the Super Round as Group A winners. Mexico can no longer progress to the Super Round. In 2013 these nations met in the first round, with Japan winning 11-0 after seven innings. Japan scored five runs in the seventh inning. Yuto Yoshida scored three runs, had two RBIs after going 2 for 3 in the game. Harunmi Iida pitched the full seven innings and had four strikeouts in his shutout. South Korea are already guaranteed a Super Round spot as Group B winners. Italy are already eliminated for the Super Round. South Korea won 17-4 against Italy in the first round in 2013. The game in 2013 was over after eight innings after South Korea scored six runs that inning. South Korea scored five runs in the second inning after the game was tied 3-3 after the first inning. Bae Byung-Ok, Lim Byeong-Wuk and Kim Tae-Jin all scored three runs. Cuba need a win to secure their place in the Super Round. They will also qualify with a defeat if Canada fail to beat South Africa. Chinese Taipei will progress with a win AND Canada lose against South Africa.